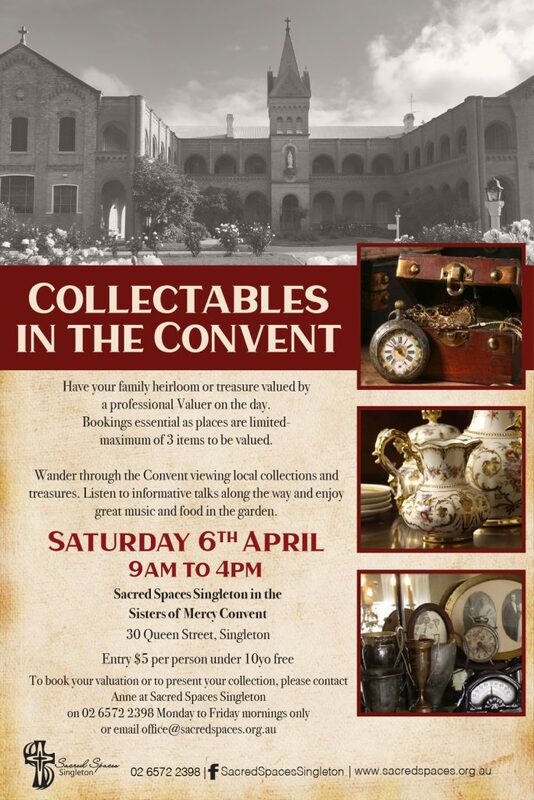 Saturday 6 April from 9am to 4pm- our version of ‘Antiques Roadshow’! * Listen to local musicians in the garden: Singleton Town Band Inc..at 10am for an hour or two; Bowing in the Wind instrumental quintet from 1-2pm. Contact us to display your collection on the day. Please note that all valuation appointments have been filled.